Princeton Landing News: "Grief makes one so terribly tired." 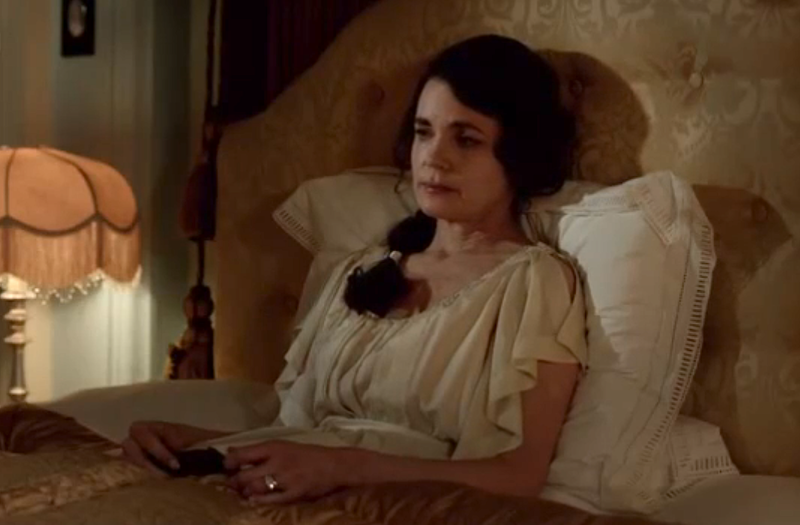 Grief—everyone at Downton Abbey is overcome with it in Episode 5 following the death of Sybil. Cora is virtually wasting away. The Dowager Countess convinces Dr. Clarkson to tweak his research in order to convince Cora and Robert that nothing could have saved Sybil so they can cope with their grief together and save their marriage. Violet: Lie is so unmusical a word. Then there's the issue of christening Sybil and Tom's baby girl. Tom insists his daughter will be baptized a Catholic like him and Robert is not amused. Robert: He wants the child to be a left-footer. Cora: Not everyone chooses their religion to satisfy Debrett's. 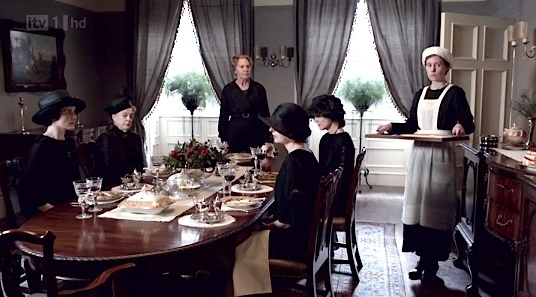 Isobel hosts a luncheon for the Crawley ladies and asks Ethel, of the weak culinary skills, to prepare something simple. 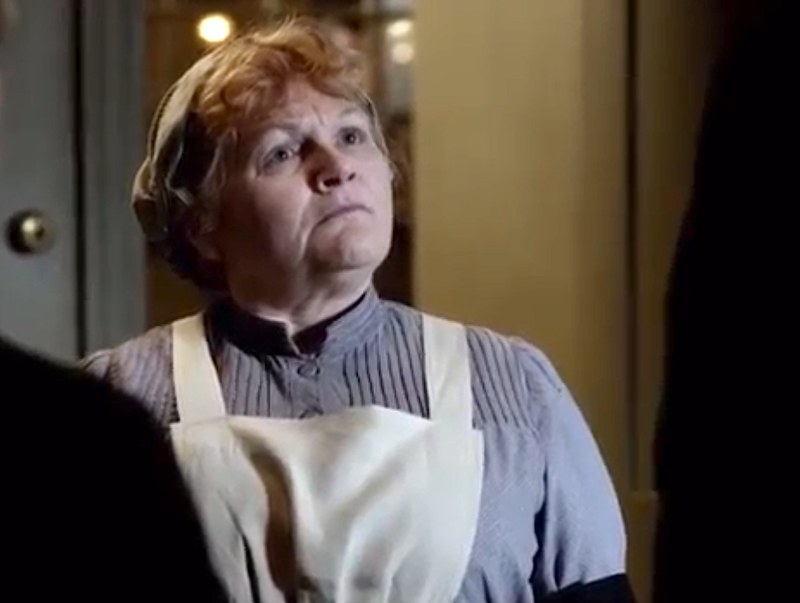 Ethel wisely asks Mrs. Patmore for help with the meal. When Mr. Carson spills the beans to Robert about the luncheon, Robert bursts into Isobel's dining room and insists the women, who he says Isobel has "exposed to scandal," leave immediately. They all refuse to go, even the Dowager Countess. Violet: It seems a pity to miss such a good pudding. Mr. Carson chastizes Mrs. Patmore for helping Ethel and asks her why she wants to spend her time "frolicking with prostitutes," giving Mrs. Patmore a chance for one of her best lines yet. And hooray for Anna—finally Bates will be released from prison. And to Daisy we can only say: Take Mr. Mason's offer! And to Edith: Write the column already!